White Ghillie Highland shirt, a perfect fit for a traditional look with your kilt. + Also known as Jacobite shirt, this ghillie shirt is ideal for a period look with your kilt outfit. 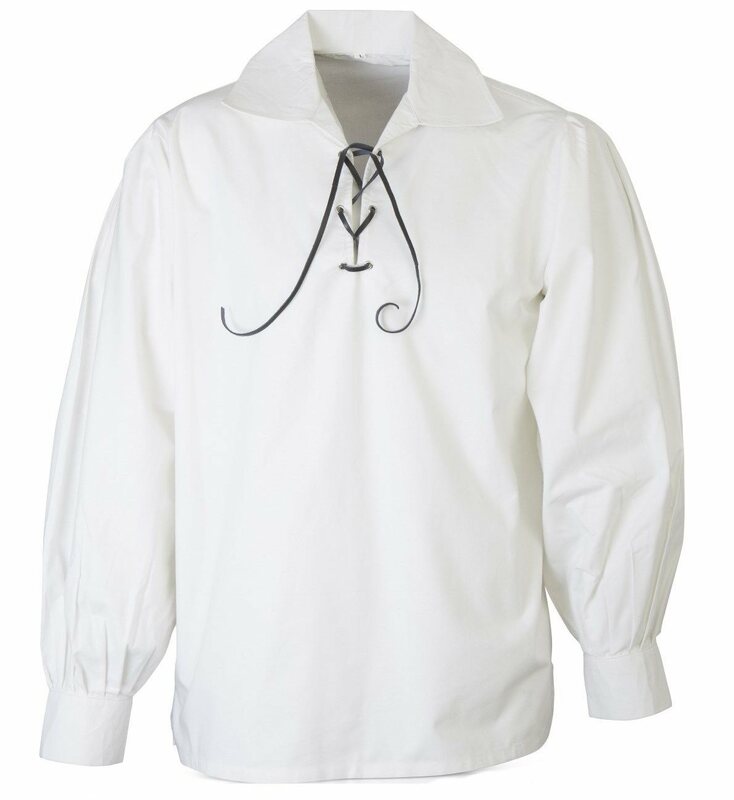 + Open neck, lace-up front with black leather cord and grommets for durability. + Made from 100% cotton. Comfortable fit, lightweight material. Designed to be loose fitting.